Do you have some old towels lying around? 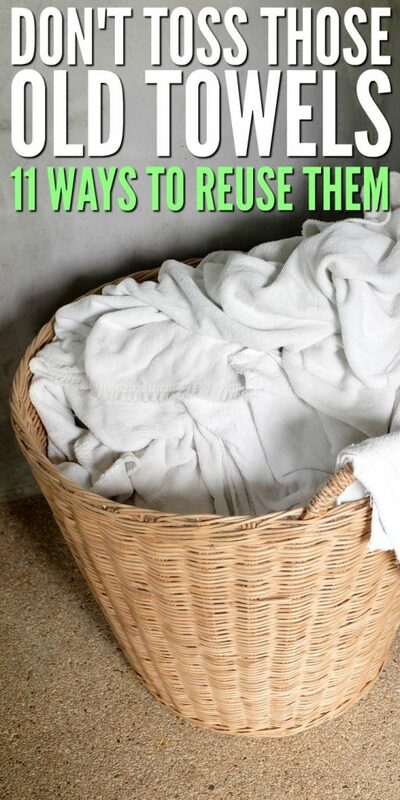 Maybe you are considering tossing them out, but before you do, check out these genius ways to reuse those old towels! I am the type of person who looks at an item and thinks is there any way humanly possible I can use this for something else. I like to repurpose items if I can instead of tossing them into the trash. If you are like me, you will see the beauty in these ways to reuse those old towels that are stuffed in your cabinets. For the longest time, old towels got tossed in a bin that sat on the back porch. When the time came to clean up a spill in the garage or even change the car oil, those towels or old socks got used. It was a great way to use them and not have to worry about the mess as we just tossed them out once we were done. Then I began to find even more genius ways to use old towels, and I wanted to share some of the ideas that other bloggers came up with. Take old towels that are in generally good condition and sew them together creating a large blanket. Use this for a picnic blanket outside! If you have a baby, cut and hem the sides of old towels and use as bibs or even burp cloths. The texture is great for cleaning up any messes your baby might make. If you sew, cut down your towels that aren’t in terrible condition and make new washcloths out of them. Donate old towels to an animal shelter. They can use them for giving baths to pets, using in crates and more. I know this isn’t for around the home, but technically an animal shelter is a home! If you have a steam mop, instead of buying pricey pads, use old towels to cut to size to use to clean your floors. This is a clever idea that will save you a lot of money over time. Have a grandkid over and need a quick apron to toss on them? Check out this no-sew apron made from towels. This is a great way to take a towel that might have a stain or two and give it a new purpose. Aprons are meant to get dirty, so go for it. Do you have an abundance of plastic sacks stuffed into a drawer in your home? Use an old towel and create a bag to store all those plastic sacks. I save them and use them as trash can bags for our bathroom trash. This is an easy solution that clears up the clutter of bags in a drawer. 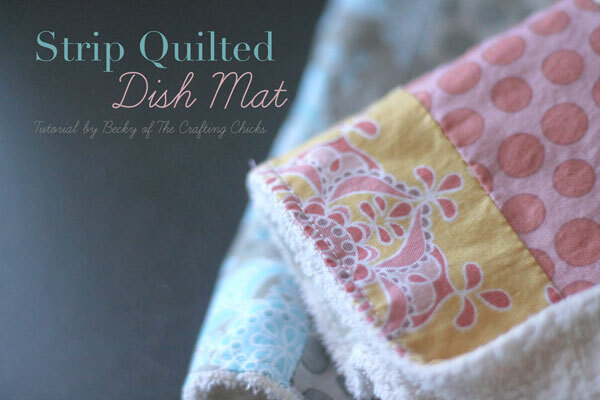 Strip quilted dish mats are something I hadn’t heard of until recently. This is a great tutorial that you can use to learn to make your own. I love the prints they have on these mats. Summer is around the corner and these towel pants might come in handy. Have a towel that has a rip or two on an end? Transform them into pants for kids to wear when they are at the pool! Cut up old towels and use them as cleaning rags for all areas of your home. 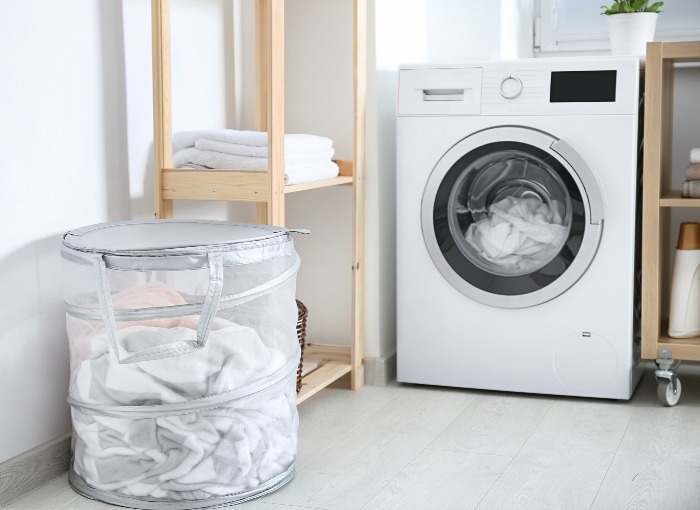 Get it dirty, toss it in the wash! That simple, and if they get too gross, you can just toss in the trash and grab a new one. A great way to save on throwing paper towels away when wiping down a counter, cleaning a window, etc. Do you have other ways to repurpose old towels?